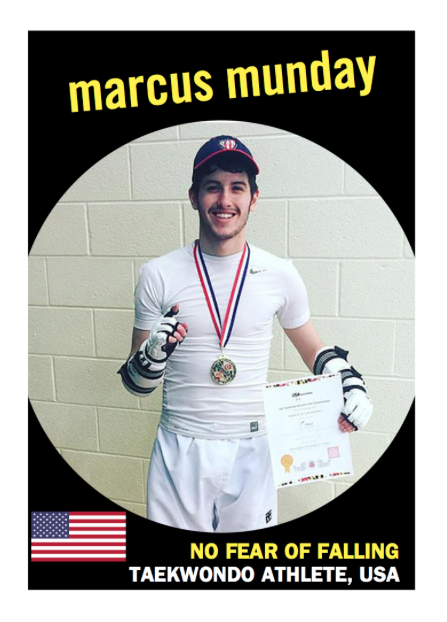 In this episode, we head to the eastern United States to talk to MARCUS MUNDAY, a highly decorated Taekwondo Athlete with big aspirations, and the drive and determination to achieve them. He currently has a crowdfunding campaign going on MAKEACHAMP where he is raising funds for his competition and training expenses. He is a 10 Time US National Champion, who is working towards securing a spot on the American National Team, and aiming towards the 2020 Summer Olympics in Tokyo. He just recently competed at the 2017 US Open of Taekwondo in Las Vegas, Nevada, where it took a match against the #1 Rank in his weight class to stop his progression in the tournament. We talked about his journey to get where he is now, the positive physical and mental benefits of martial arts training, and how looking forwards towards your goal can give you a platform to understand and implement your failures and keep you motivated and determined to do your best.